So you’re looking to get more serious about rock climbing and are wondering what the next step is. There are plenty of ways to learn more about the sport, and not one is necessarily better than the others. This post will help you decide what is the next step in your development as a climber! 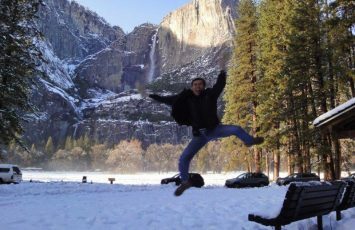 Are you a rock climber from Singapore looking for a course? How do you plan on getting better at rock climbing? Are you interested in taking a rock climbing course or certification? Learning the proper technique and safety basics is essential to becoming a well-rounded, successful climber. As much as we can learn on our own about climbing, we need someone else to teach us the safety measures necessary for climbing outdoors. That is why I must note that your best and safest option is always to take a climbing course. However, if you are unable to do so, I will give you some other options that can help you to advance as well. If you’re serious about advancing in your climbing, you might consider getting some sort of certification. Getting a climbing certification is certainly the safest, most complete option to becoming a better and safer climber. 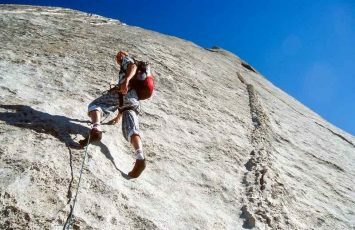 For example, the American Alpine Institute offers a plethora of outdoor rock climbing courses, ranging from beginners courses to style-specific courses, such as trad, alpine, and big wall clinics. 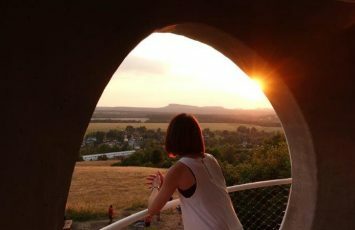 You can even take courses on the mental aspect of climbing, such as managing fear and getting comfortable with falling! Though they may be the most expensive, these official courses are your safest bet for if you really want to fine-tune your climbing abilities. You’re sure to get the most detailed, thorough instruction from professional instructors who have years of experience. So if you’re really looking to perfect your rock climbing skills, I recommend that you take an official course or get a certification. It will pay off in the long run! There are tons of online training courses that you can sign up for, most of which are focused at improving your physical conditioning. These websites, such as Training Beta and Lattice Training, to name a few, are designed to help people focus on a specific area of their training. You can talk to a trainer and ask for a specific strength or endurance plan, or lay out what your particular weaknesses are. 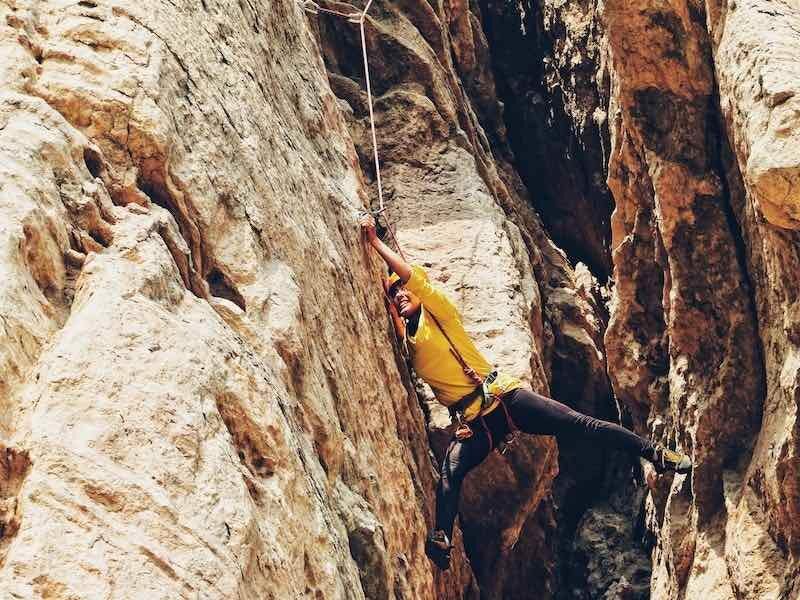 These courses on the downside however, don’t usually focus on any safety aspects of climbing, but rather on physical fitness and climbing technique. A big perk of online courses are that they are location independent. If you find a coach that you like that happens to live on a different continent, no problem! Climbing trainers live all around the world, and you can choose the perfect one for you based on language/focus area. For example, Cesar Training is based in Spain but trains clients from any country! 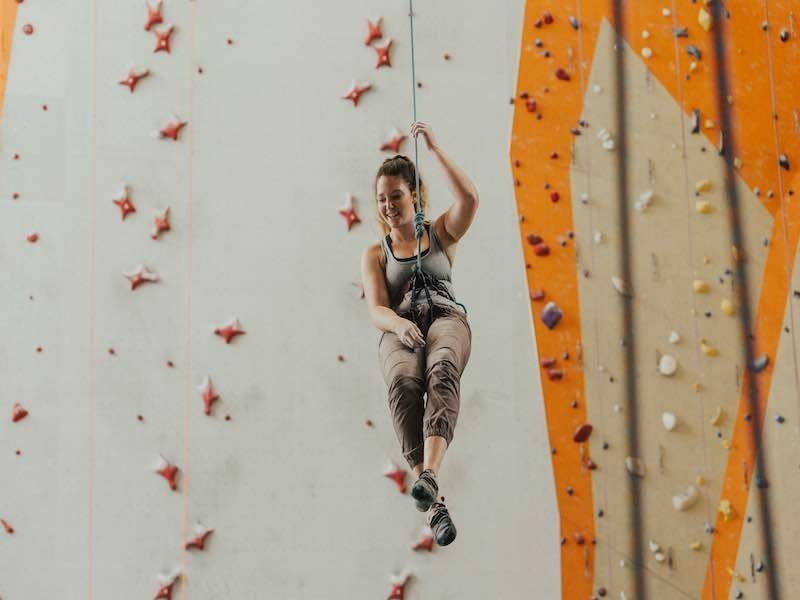 This trainer helps people who want to focus on training in a climbing gym to improve their outdoor rock climbing abilities. The options are endless! If you go to a climbing gym that offers courses on lead climbing or transitioning into outdoor climbing, these can be great investments. 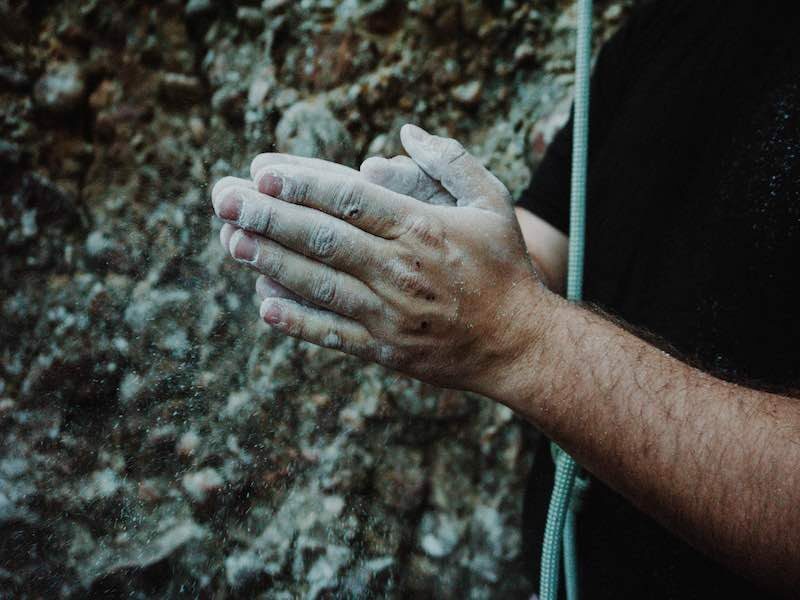 Though courses given at climbing gyms can tend to be a bit more cost incurred, they are sure to be very thorough, teaching you all of the safety protocols that you need to know. 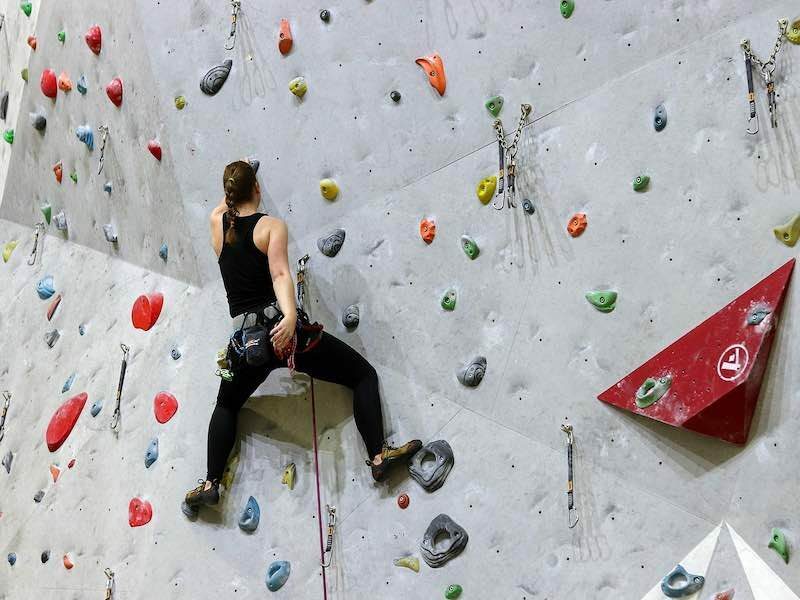 Courses offered in climbing gyms are often very specific, focusing on teaching you how to lead climb, how to correctly catch climbing falls, or the safety measures necessary for climbing outside. This ensures that you can take a course focused on exactly what you want to learn. If you take a course at a climbing gym, you are sure to be getting the best advice from the certified gym instructors. Think of this as an investment that will ensure your safety and wellbeing when you are climbing outside. Learning safety techniques in a controlled environment such as a climbing gym will take away any stress or worry once you have to face these situations on real rock. There is always an option to find a certified private instructor who is skilled and conducts private classes whether it is at the gym or outdoors. Best to pick those that are recommended by peers who took classes from them, or ask them to show that they have certifications to teach and hold classes. 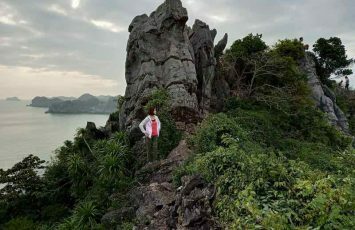 If you are base in Singapore and would like some private rock climbing instructor recommendations, I would be happy to help you if you just drop a comment below. Another option to advancing in your climbing is learning from friends! If you have experienced friends (maybe they’re the ones that got you into climbing), an awesome way to learn about the sport is to go out and observe them. Climbing is an extremely social activity: we need other people to belay us, to spot us, and to encourage us to send our projects! So if you’re going out with friends who are more experienced climbers than you, take advantage of the opportunity to ask them for tips and advice. However, although we can learn a lot from our friends, this may not always be the safest way to go about things. If our friends aren’t certified climbing instructors, they could potentially be giving us incorrect advice. 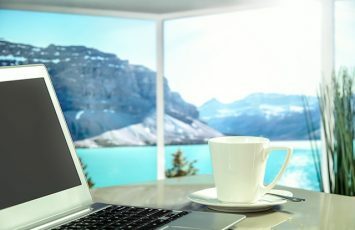 Therefore, your best bet is to do one of the options listed above, such as a climbing gym course, an online course, or a certification course. 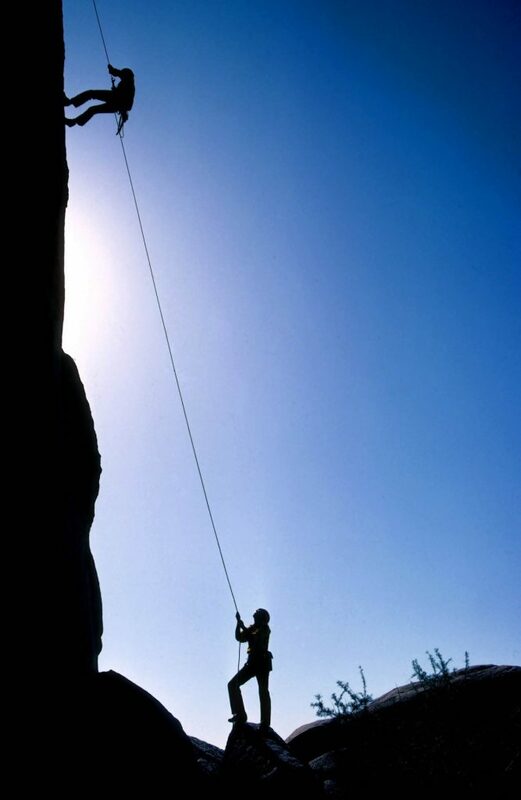 If you’re looking for the cheapest, most accesible route, an option is to teach yourself the basics of rock climbing. 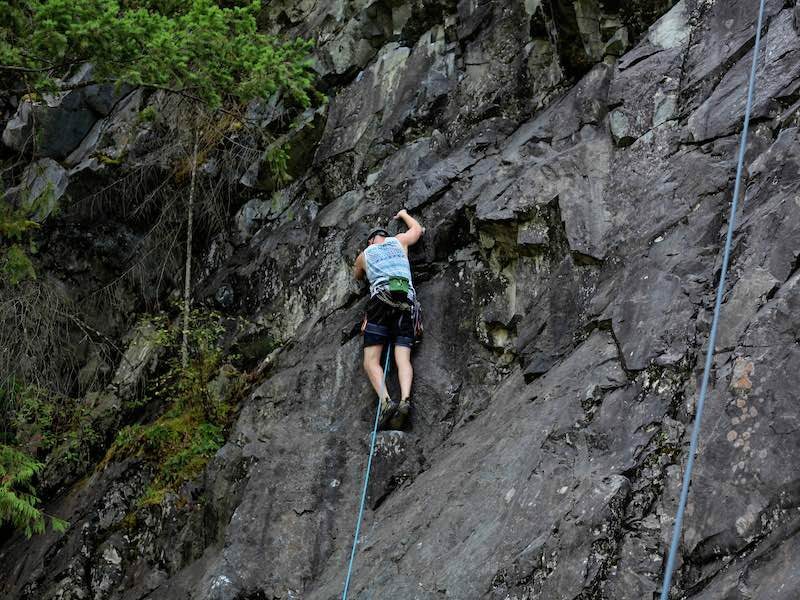 There are plenty of resources online to find advice and information on rock climbing. 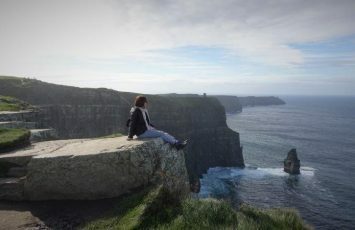 Rockandice.com and Climbing.com have lots of great, free resources from experts that can give you advice on how to move up in climbing grades or transition from indoor to outdoor rock climbing. 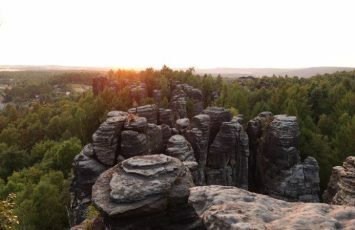 For example, Climbing.com has provided this post on how to properly spot while bouldering, and Rockandice.com has tons of training articles available on their website. However, this is not necessarily the best or safest option. 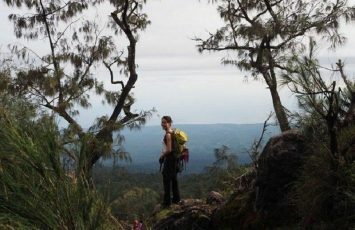 Teaching yourself certain climbing techniques or training methods is ok, but it’s important to learn safety measures from someone who has lots of knowledge about the sport. 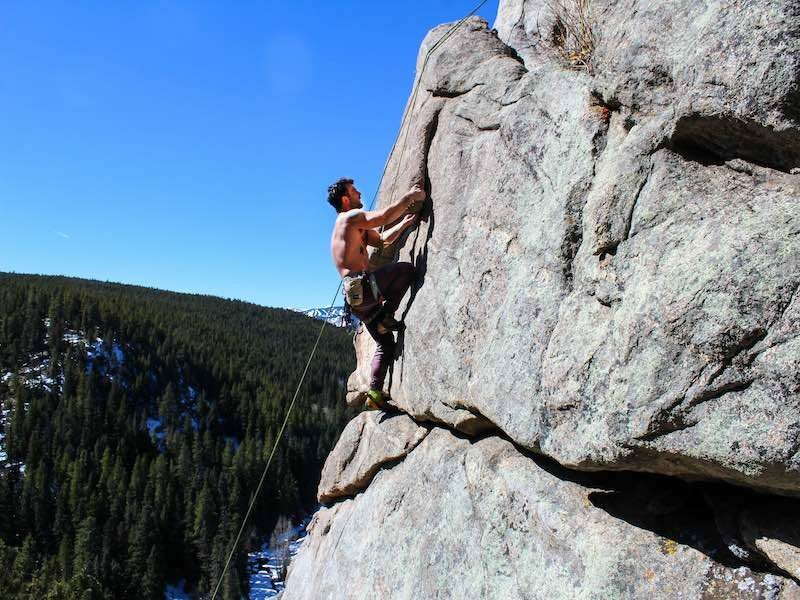 At the end of the day, the best way to learn about such a risky sport is from experts or people who have years of experience with rock climbing, so the options that I listed above are your best bet for advancing in your climbing.